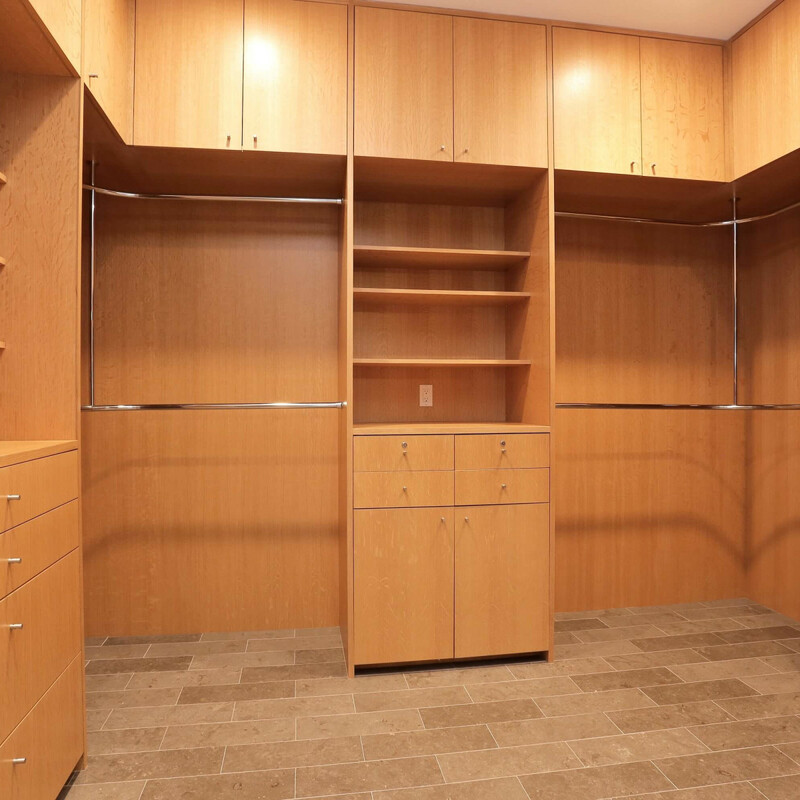 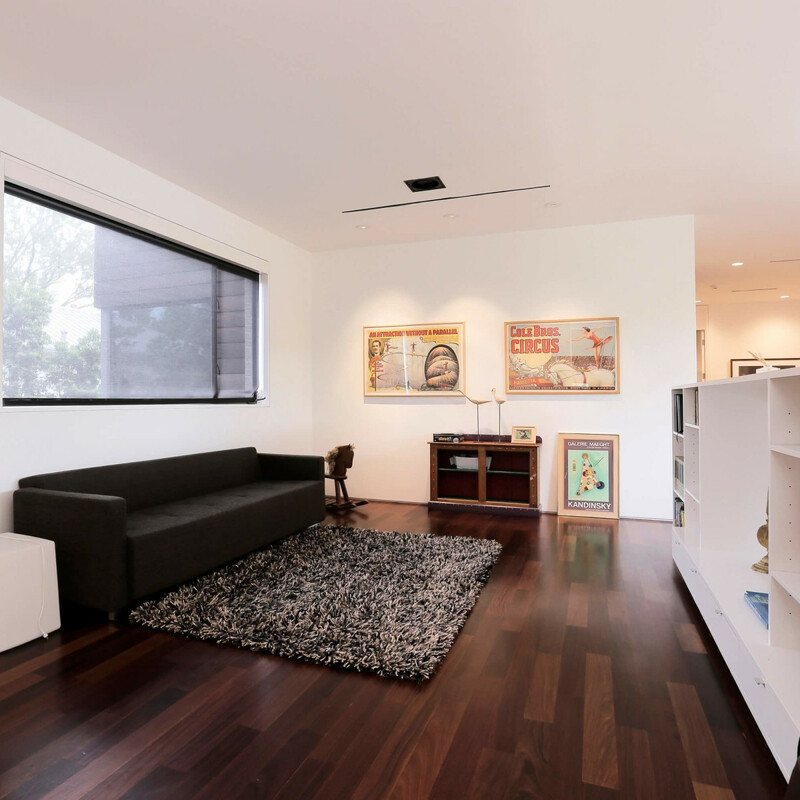 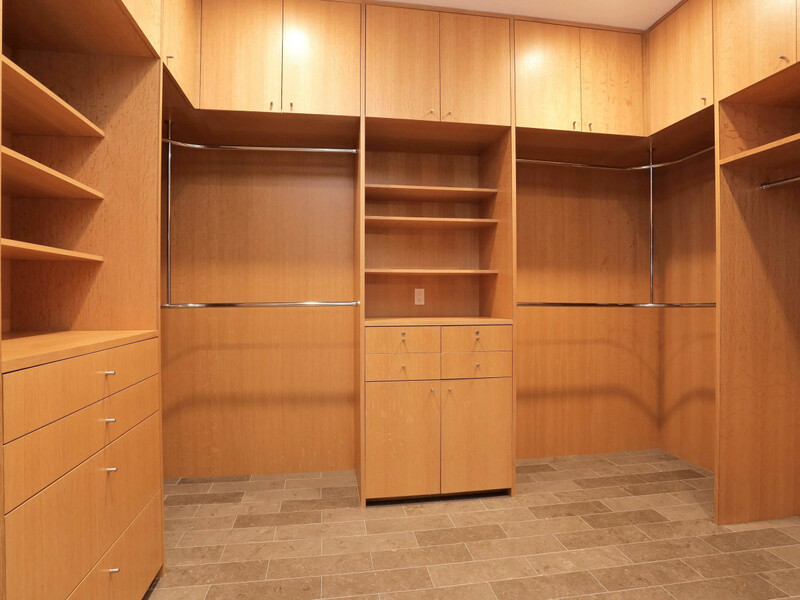 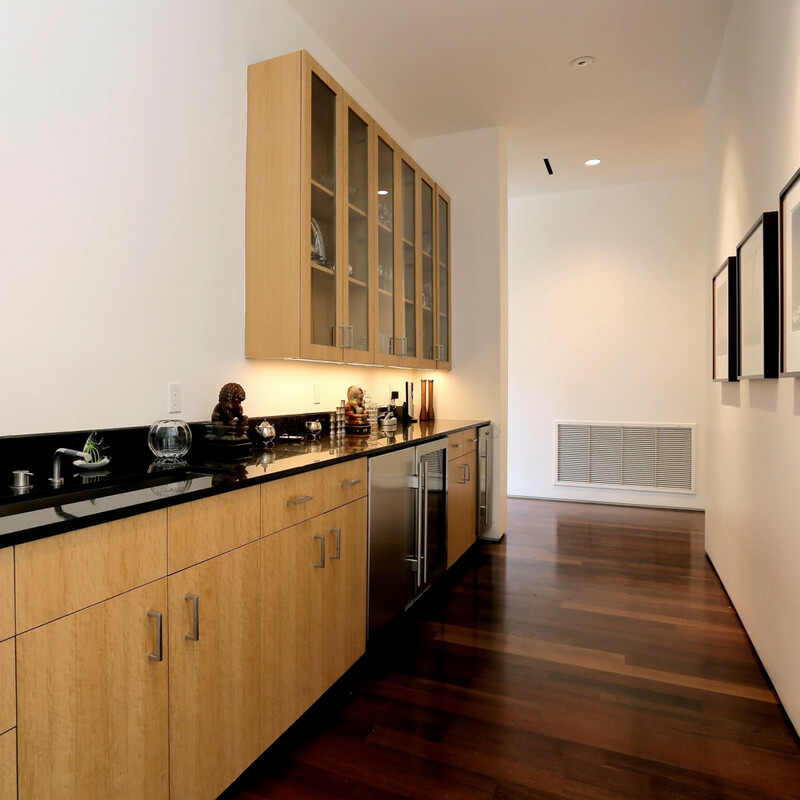 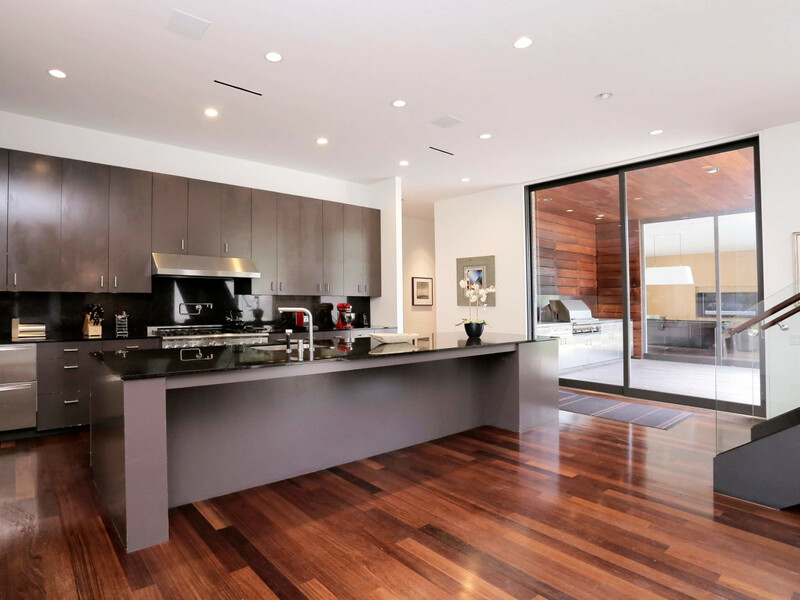 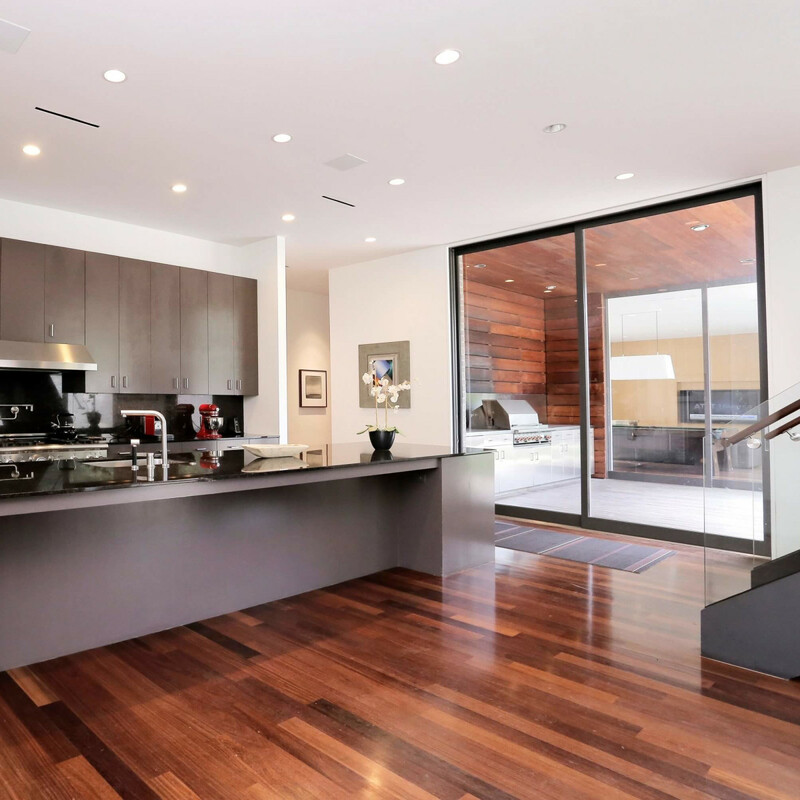 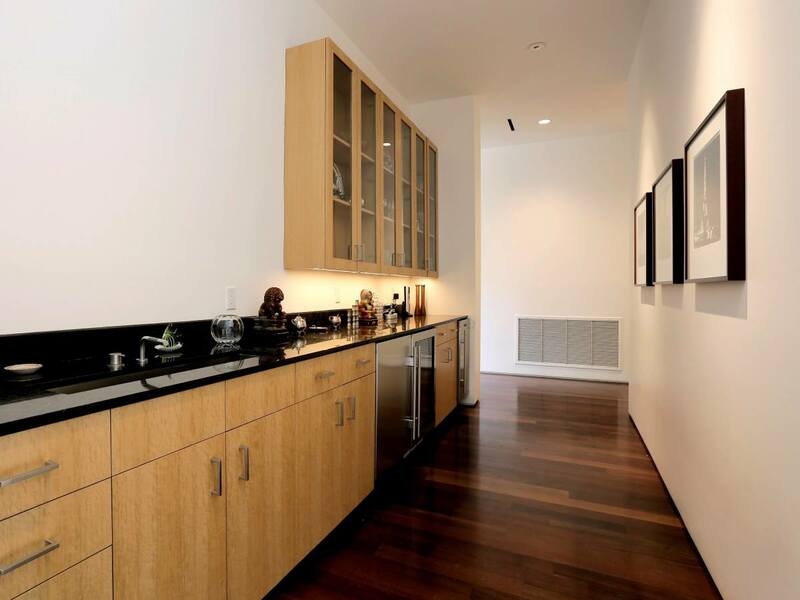 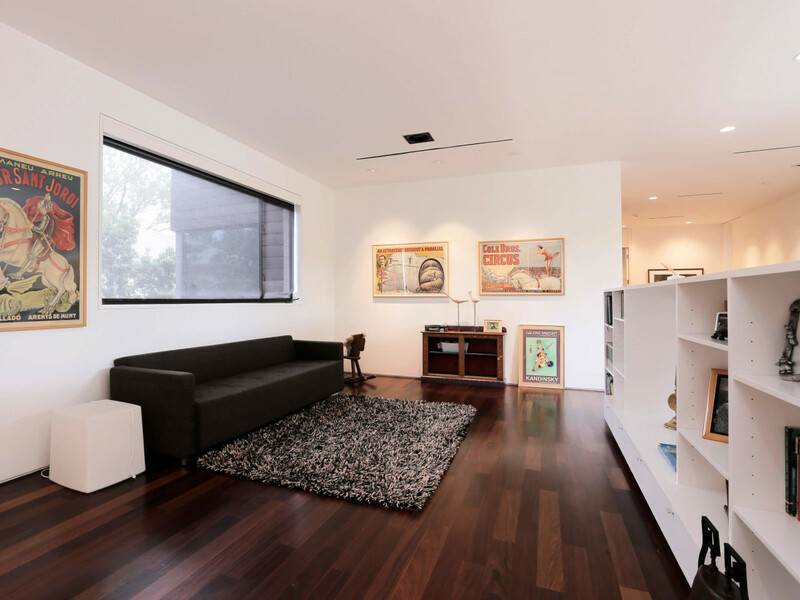 Beautiful Ipe flooring and teak veneer cabinetry are present throughout the house. 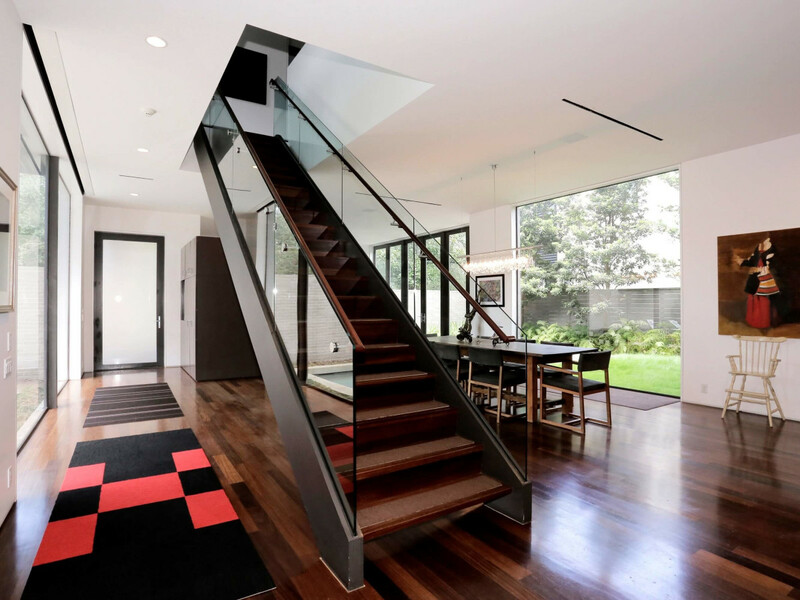 In 2009 Stern and Bucek Architects was named American Institute of Architects Houston Firm of the Year. 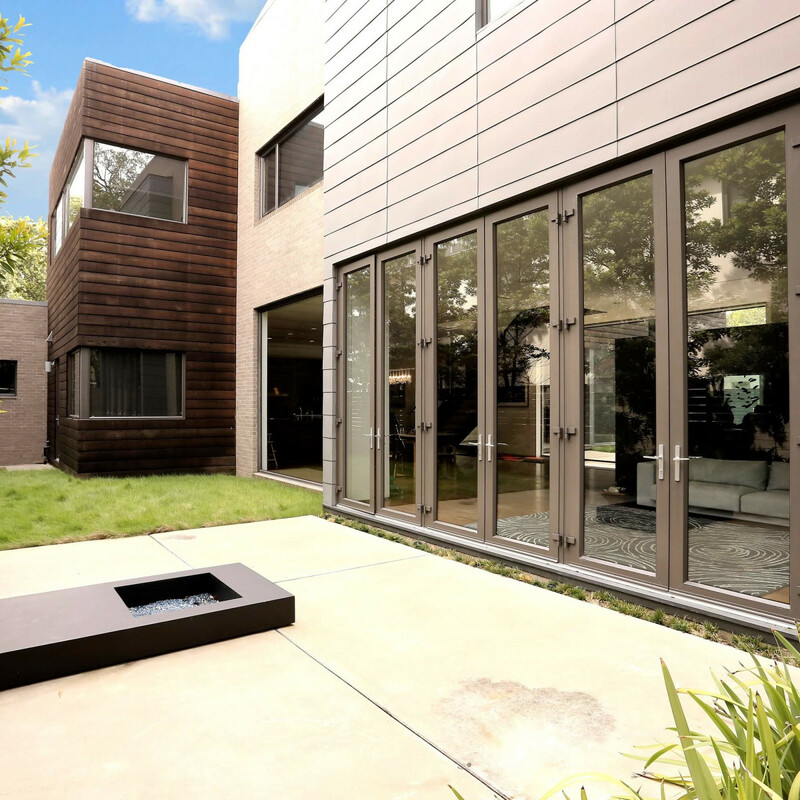 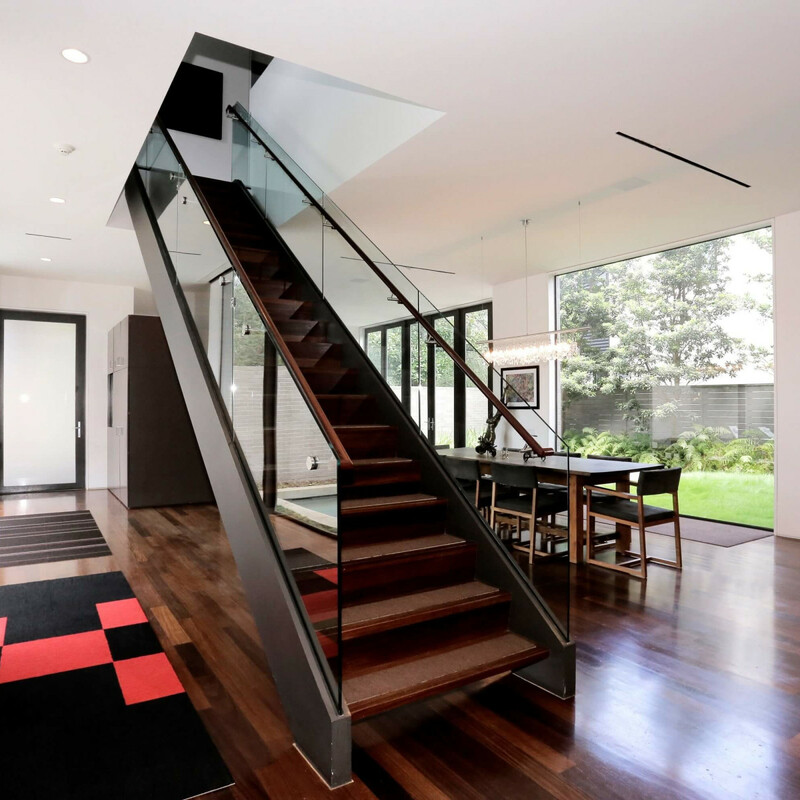 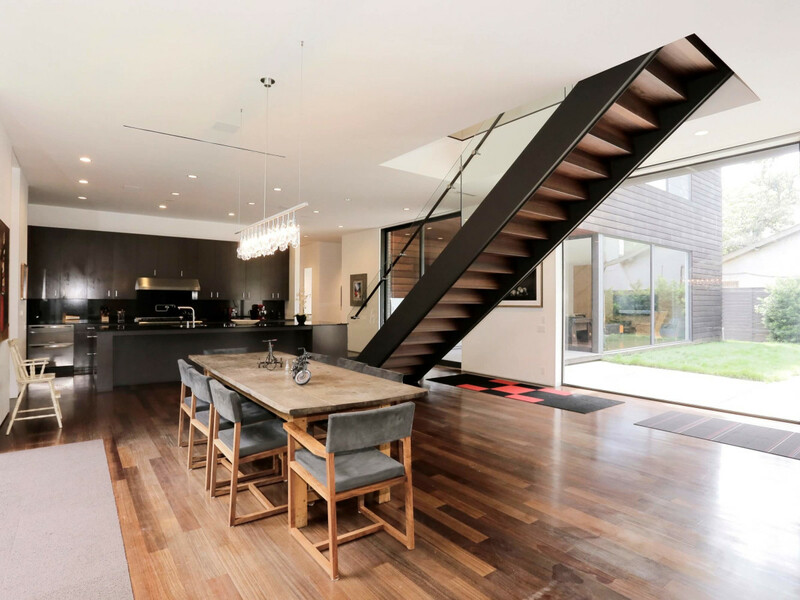 In 2010 the firm's modern masterpiece, noted for its sleek lines and open living, in the prestigious Southampton neighborhood was featured on the AIA home tour. 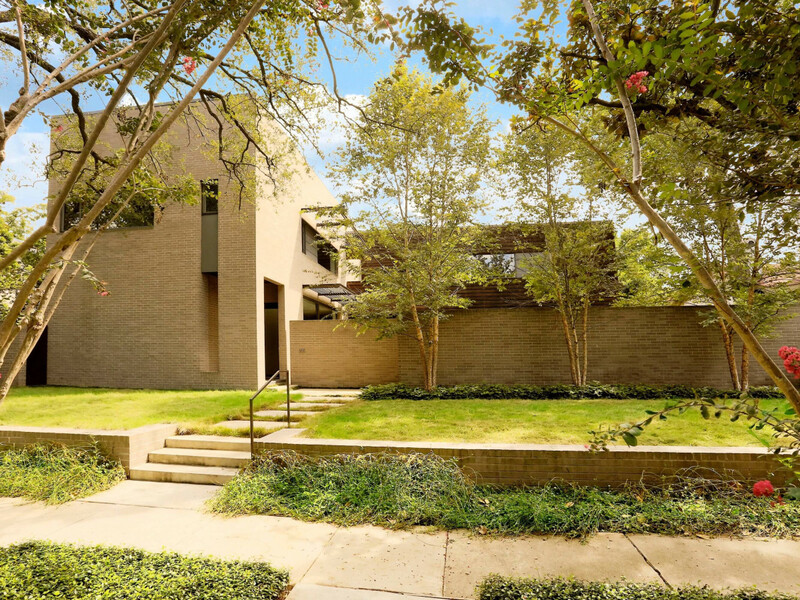 Today, that gem, designed by the late, highly-regarded architect William Stern, is on the market. 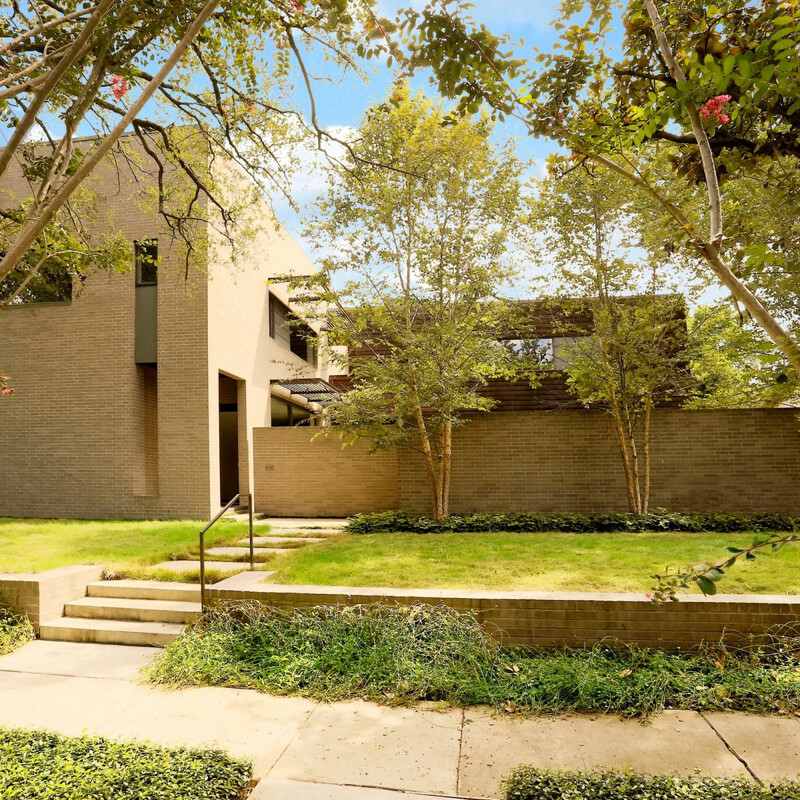 As described in the firm's brochure, "The intersecting volumes of the structure are defined discretely in brick, a rain-screen of clear sealed cypress plank and zinc panels." 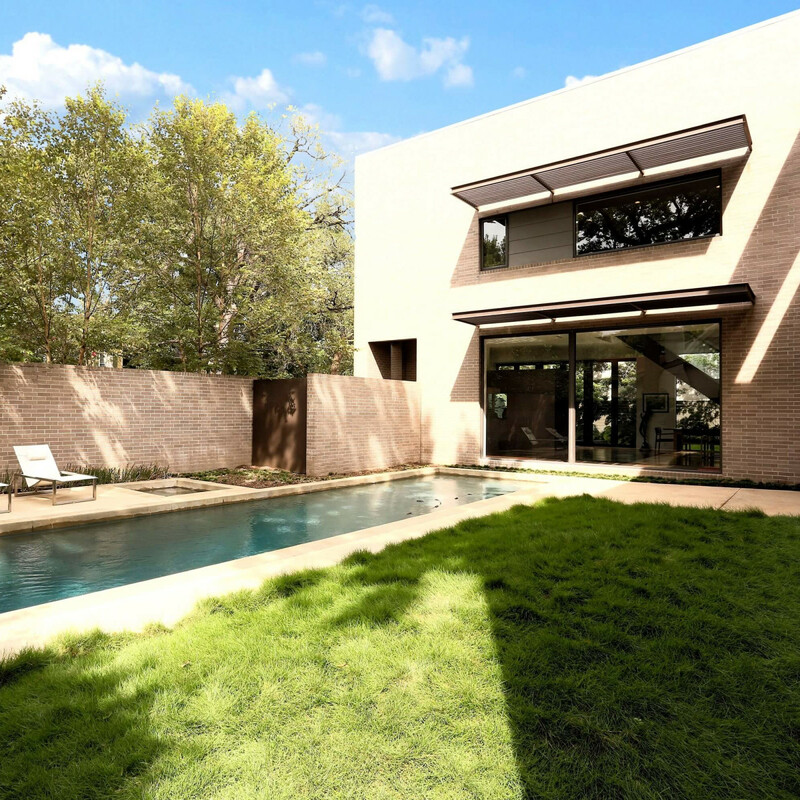 The elements: Spread gracefully across two lots, the house is built around three interior courtyards with each room on the ground floor opening to one of the private spaces. 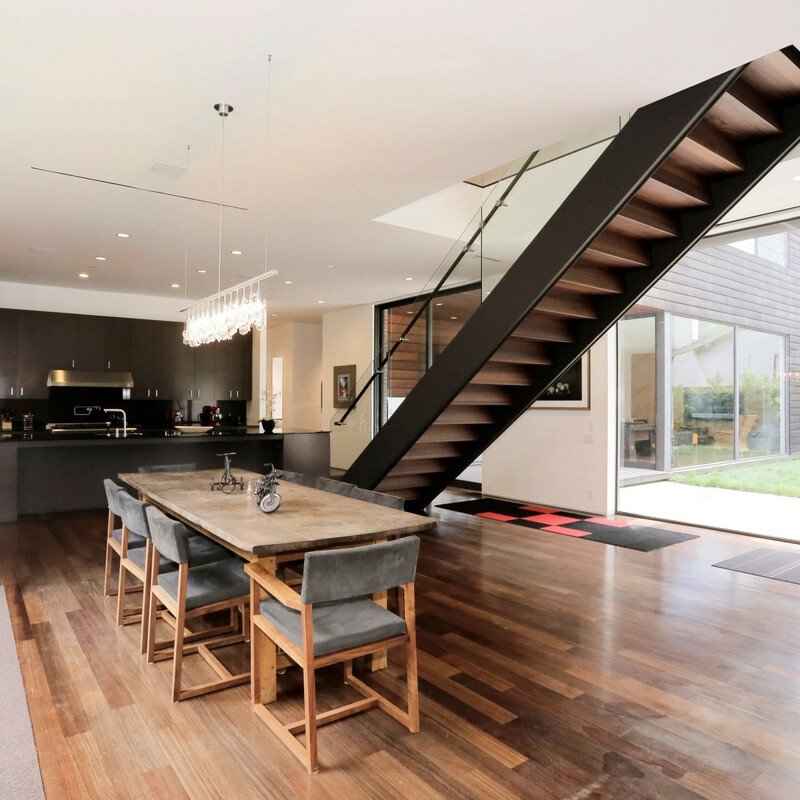 The primary living area, an open plan, features the kitchen on one side of the structure and the family room on the other. 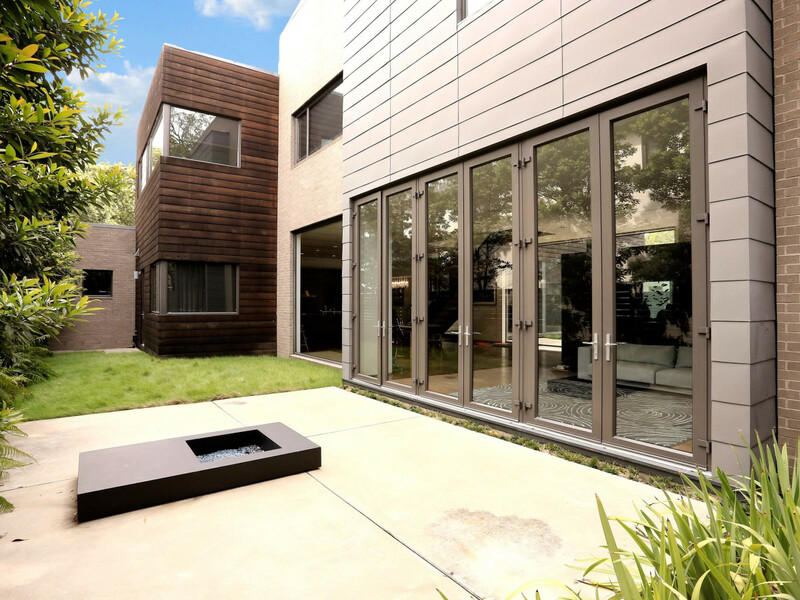 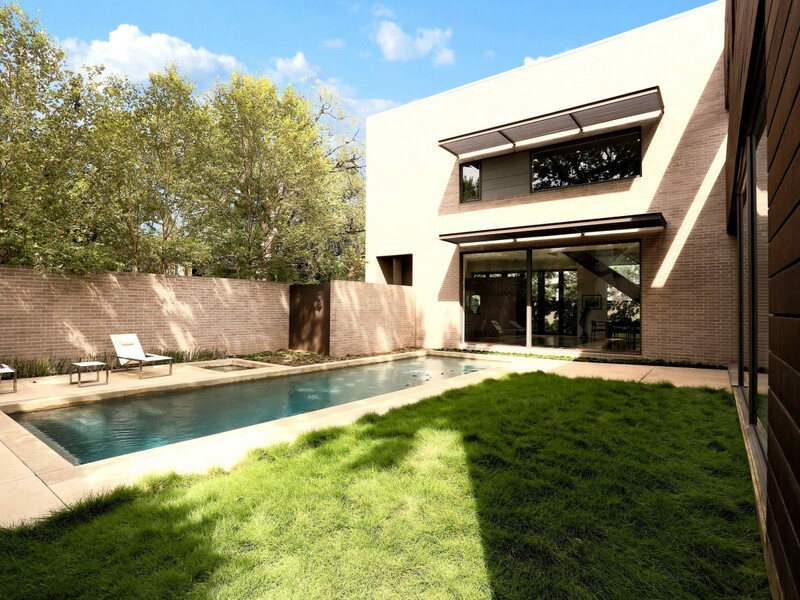 Both open to an outdoor kitchen and pool courtyard through glass and screen doors that pocket into the walls. 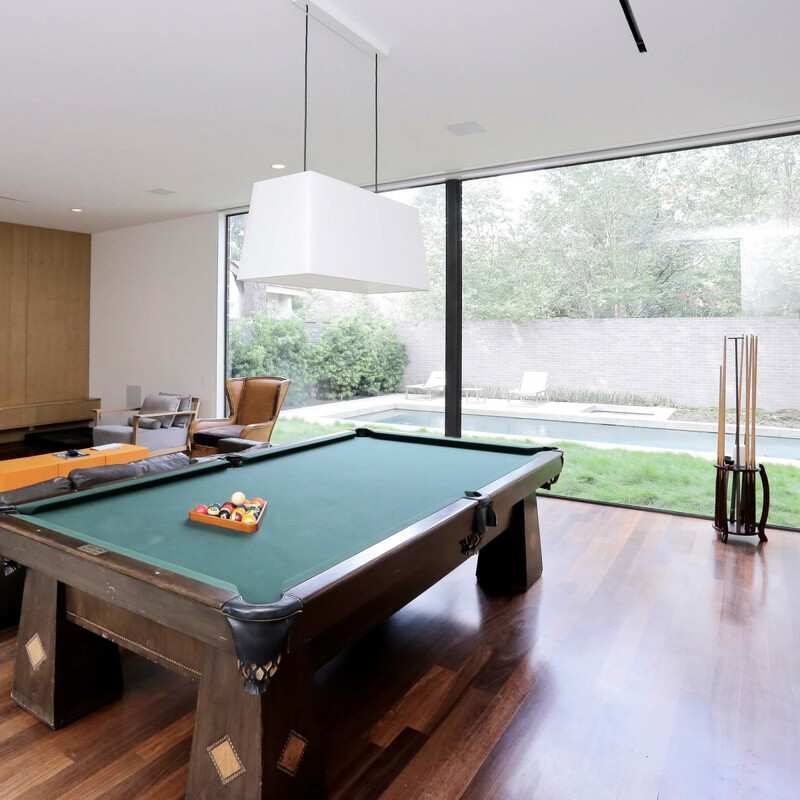 The house has five bedrooms with a master that enjoys two bathrooms and a private study. 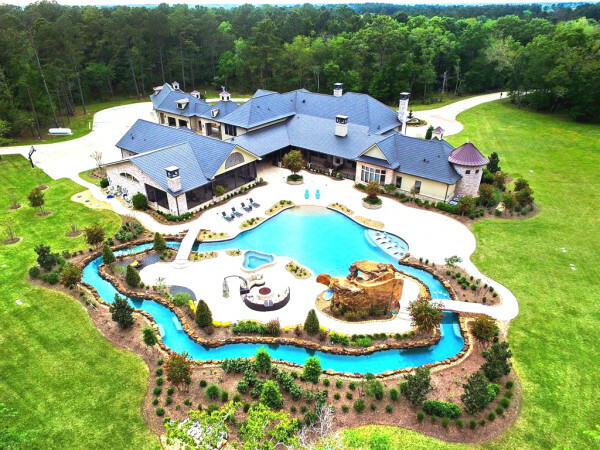 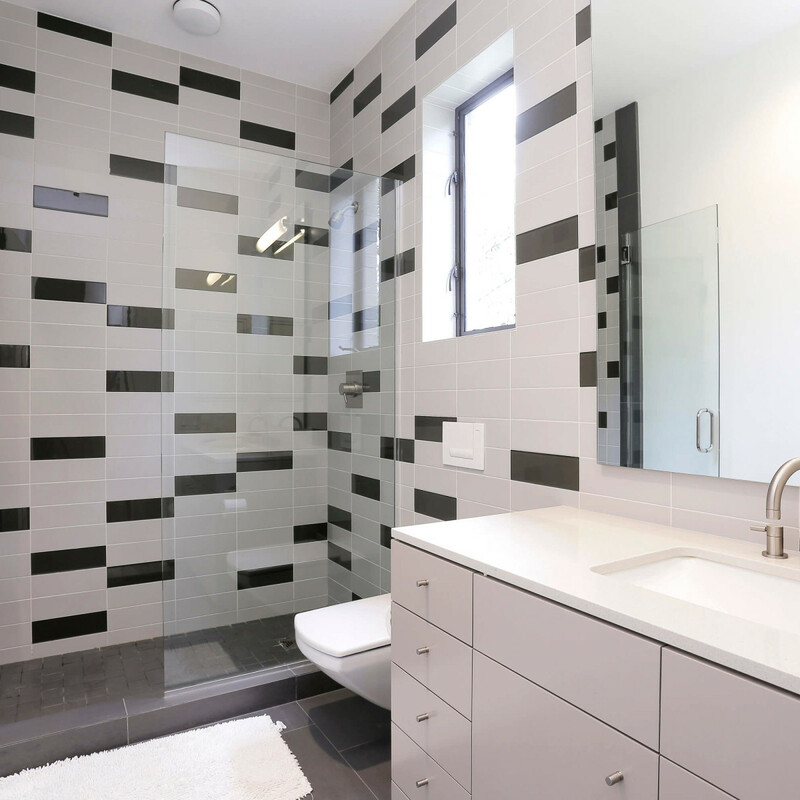 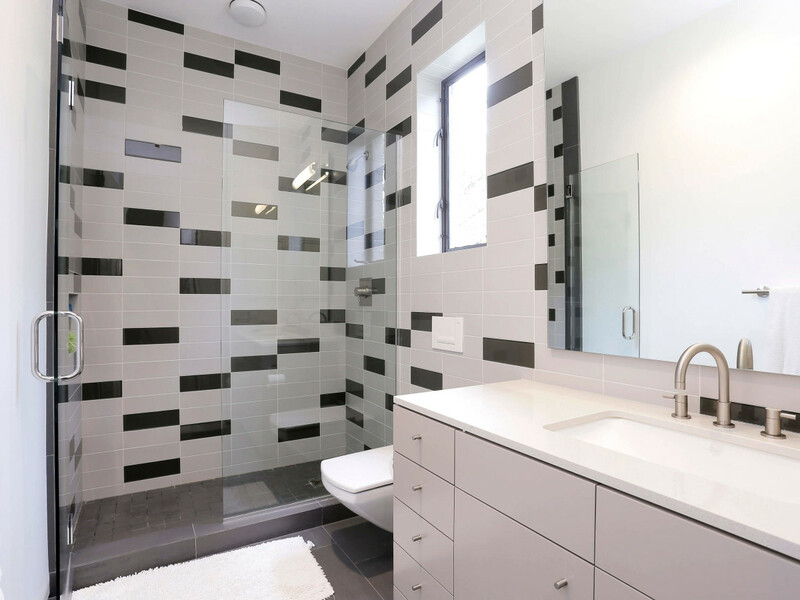 There are five and one half baths in total. 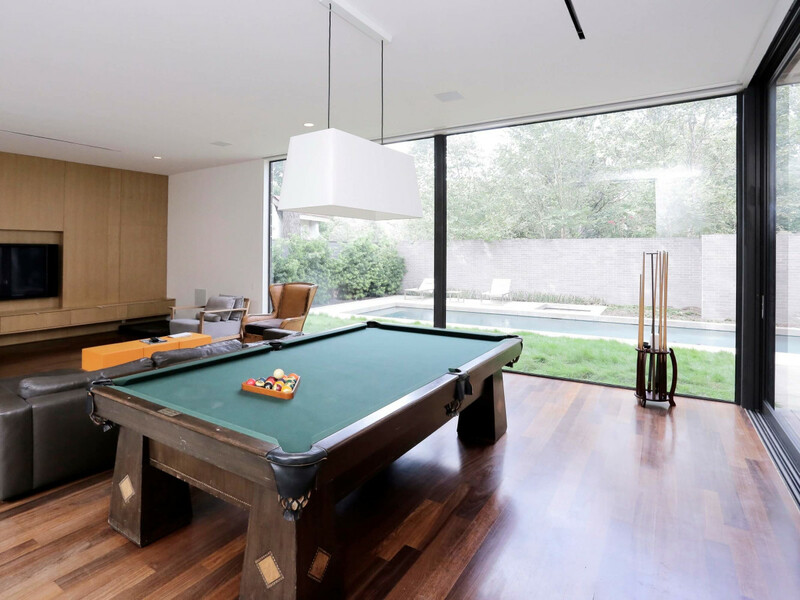 Add a game room, a second floor living area, and a three-car attached garage in the house that features natural white oak cabinets with teak veneer and exotic Ipe flooring throughout.